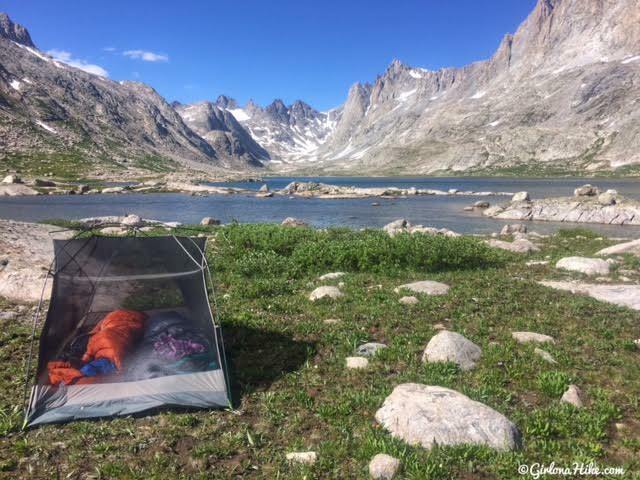 Backpacking to Titcomb Basin in Wind River Range of Wyoming should be on every backpackers "to do" list. 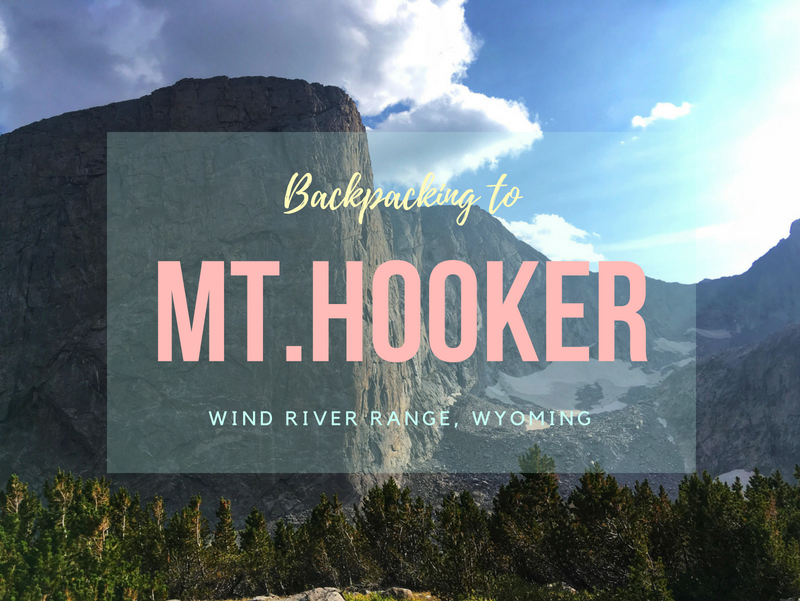 The rugged terrain offers massive mountains with spire towers, clear glacial lakes, high alpine grassland & wildflowers, and world class hiking, backpacking, and climbing. 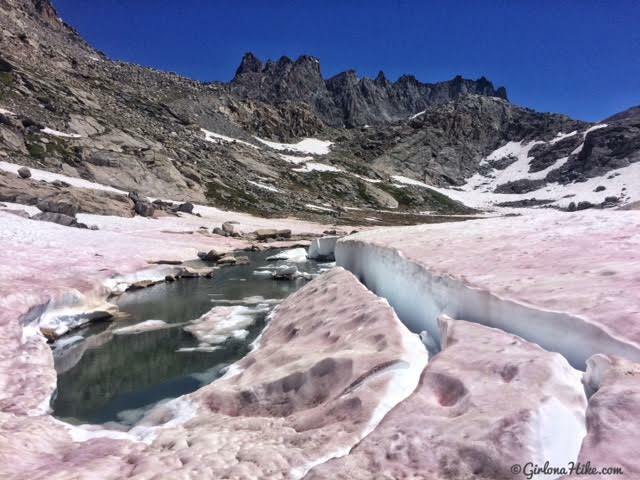 Titcomb Basin is truly a pristine and special place. 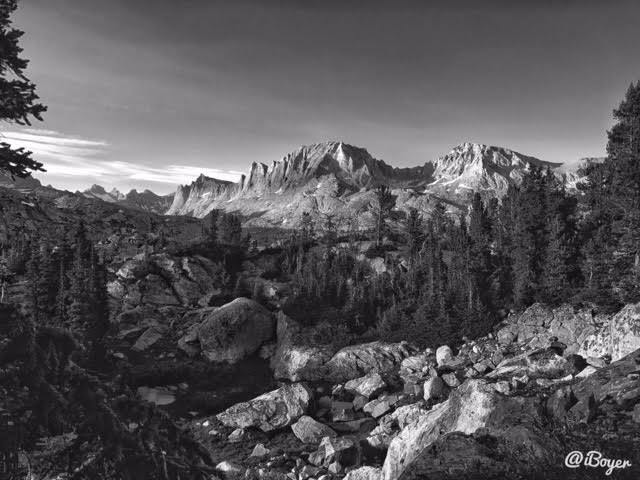 The Wind River Range has two main areas popular with backpackers - the Northern & Southern range. 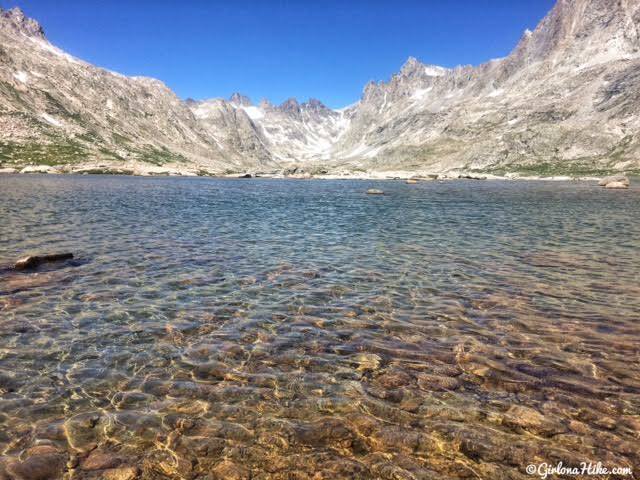 The Northern range is home to Titcomb Basin and the Southern range is home to Cirque of the Towers. Both are fantastic areas, and deciding on an area really depends on what you want to see first. Visiting each area would require separate trips (unless you have an unlimited amount of time off from work). 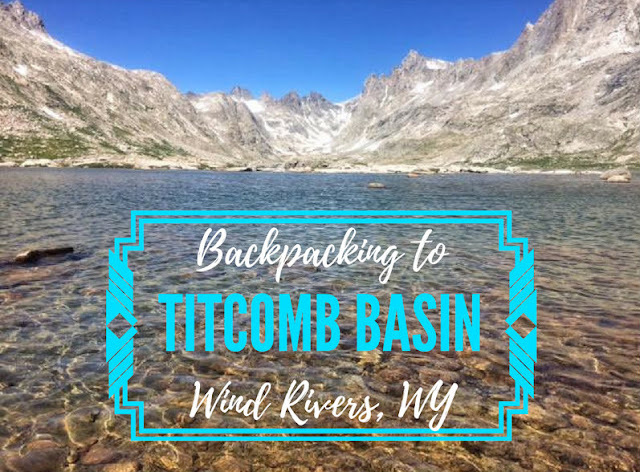 We decided to visit Titcomb Basin as our second trip to the Winds, and turned it into a 4 day backpacking adventure. 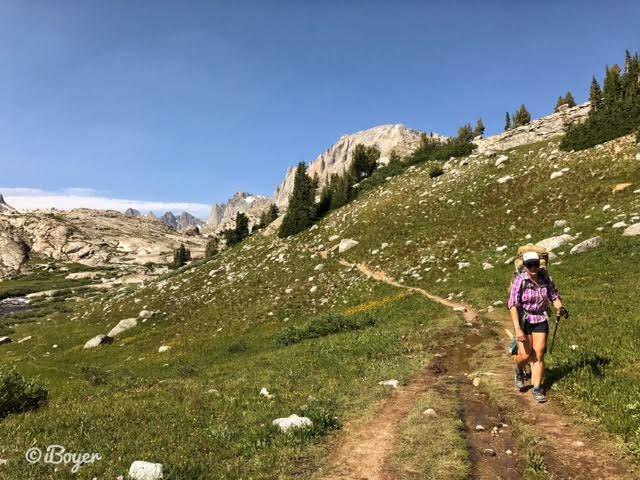 The Wind Rivers can be challenging - there are several passes to cross, the weather can change at any time, and hiking at a high elevation with a big pack on can also slow people down. 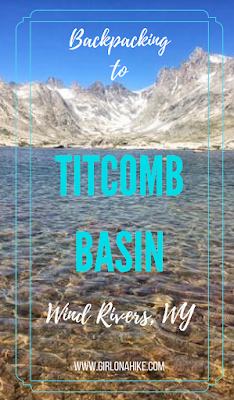 You won't regret visiting the Wind Rivers - it's definitely a special place that I hope to return to again. Use this map, if you are driving from SLC. The road is paved the entire way to the TH so any car can make it. There is no fee for parking overnight. Distance and elevation gain will vary depending on your route and how many days you spend there. 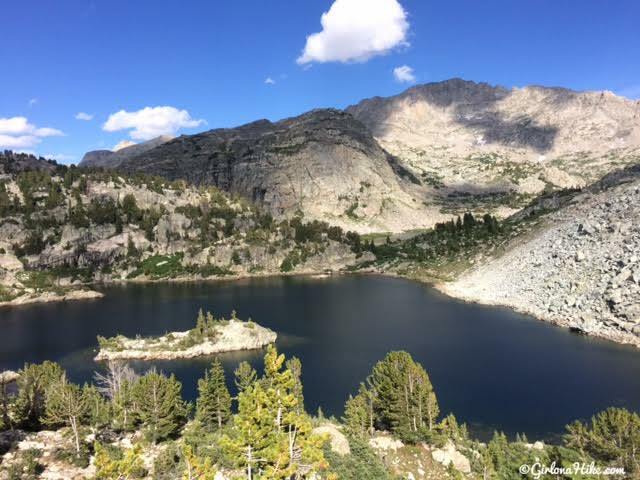 Expect to hike over high elevation passes, rocky terrain, forested sections, and exposed areas. Be prepared for all kinds of trail and unexpected weather. A minimum of 2 nights is recommended to backpack here. We backpacked & day-hiked 40 miles over a 4 days, 3 nights. When is the best time to visit? Typically the best months to visit are late July, August, and early September, but it all depends on snowpack. 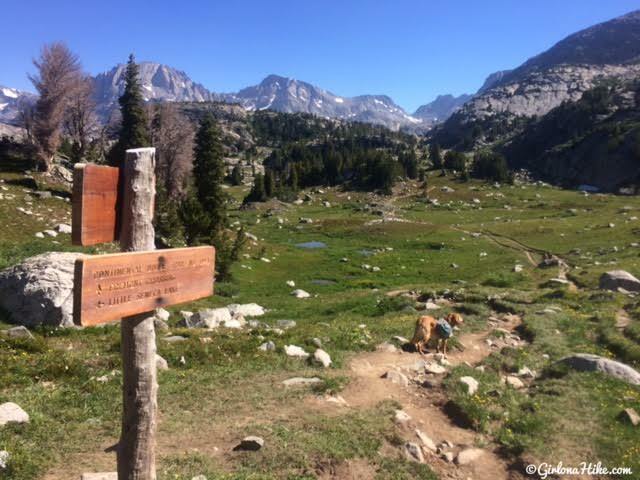 Some years when snowpack is high, you may not be able to access the trails until August. 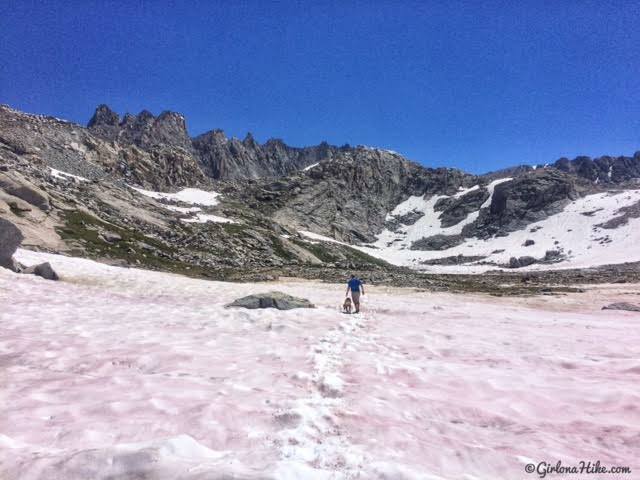 In low snow seasons, you can access the trails as early as June. Call the Bridger-Teton Forest Service to check on snowpack levels when planning your trip. Thunderstorms and afternoon showers are common during summer months in the Wind Rivers. There is also a year round possibility of snow at this elevation, so pay close attention to weather and be prepared for any change in conditions. 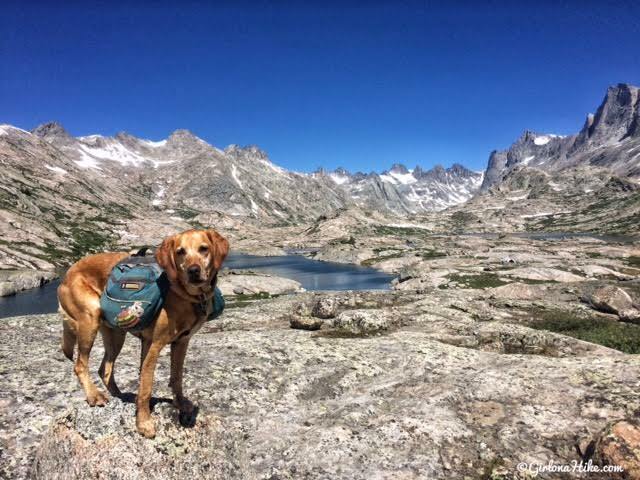 How difficult is it to backpack in the Wind Rivers? 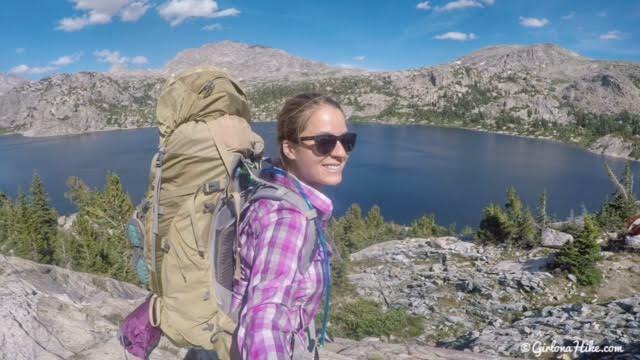 This depends on your experience, fitness level, pack weight and weather. 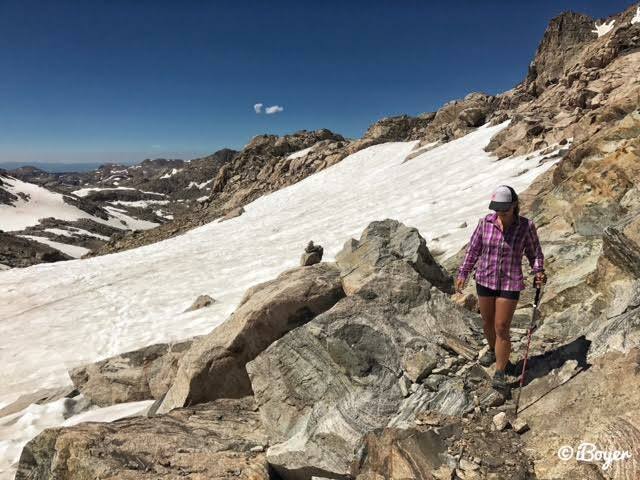 There are no technical areas of the Wind Rivers, but climbing over passes are required, depending on your route. 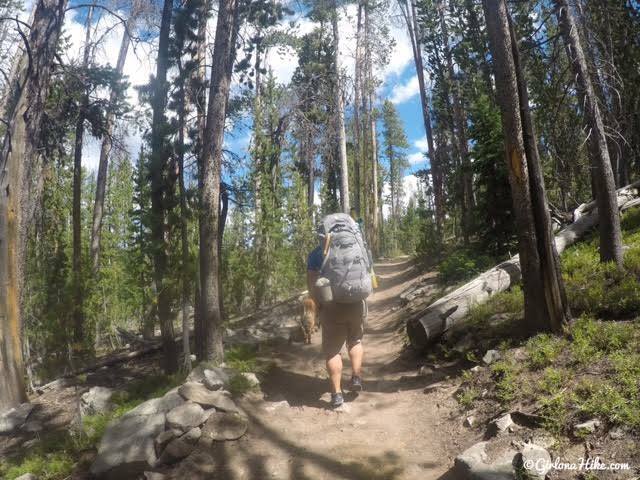 You should have a few backpacking trips under your belt, and be comfortable carrying up to 30-40 lbs for hours on end. As always, the lighter your pack, the easier your hike will be. More weight = harder hike. Can I bring my dog? Yes, dogs are allowed off leash. It is a good idea to always have a leash handy, in case you come near wildlife. Dogs should be able to hike for long distances and over rocky terrain. 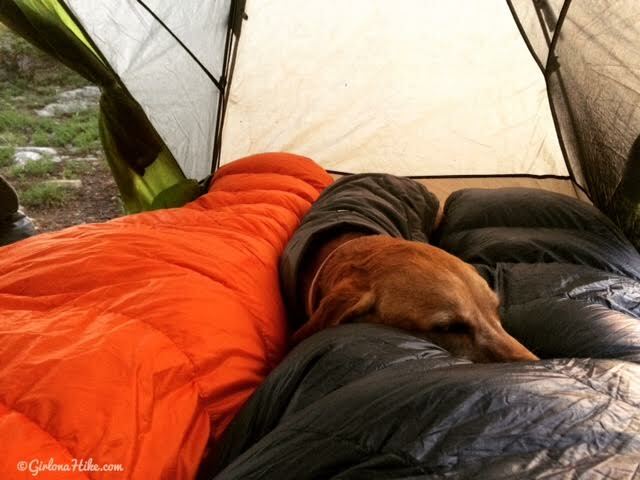 Dog poop is not required to be packed out. 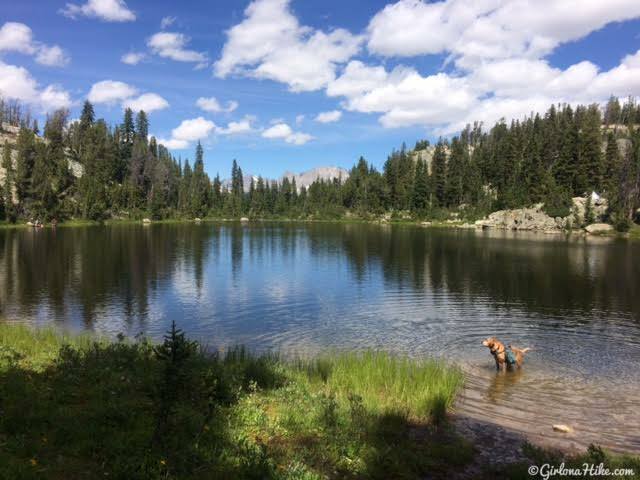 Note that this is designated grizzly bear habitat and food storage regulations apply for backcountry users, including dog food. What's the elevation gain like? It depends on your route and how many miles per day you backpack. 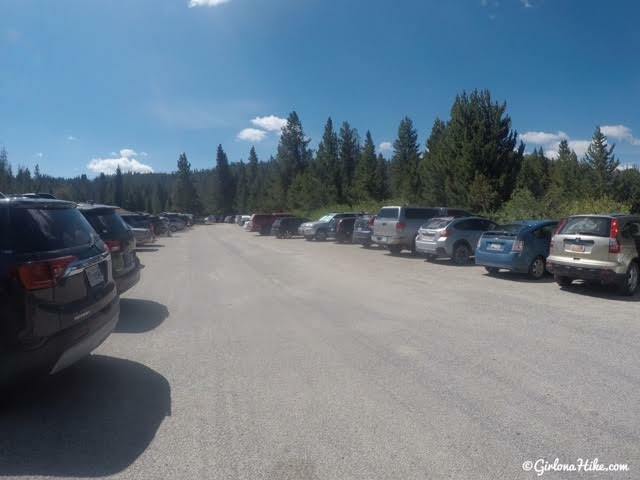 The low point is at the Elkhart Park TH, which is at 9,100 ft, and our high point was roughly at 12,500 ft. Elevation sickness is a real possibility, so know and understand the symptoms. Are there requirements for food storage? Yes, as of 2017 the Bridger-Teton National Forest has a Bear Safety and Food Storage Order in place. You must either hang your food properly or use a bear canister. It is also wise to carry Bear Spray with you at all times. What about water? There is plenty of water along the trail, from lakes and streams. You will need to carry a water filter such as the Sawyer Mini or Platypus Gravity Filter. How bad are the mosquitoes? Mosquitoes will be the worst until Mid-August; after that, they tend to die out, but it all depends on water level each year. Be prepared to carry 100% deet. I also recommend using Permethrin by Sawyer on your clothing as an extra precaution from getting bites. Permethrin should not be applied while wearing the clothing - apply outside, while clothes are hanging. I applied two coats - let each coat dry before the next application. What guidebook or map do you recommend? 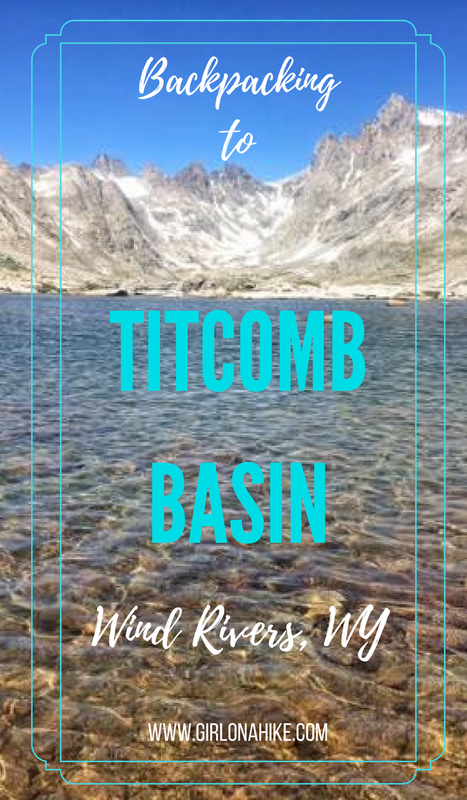 We used the Beartooth Publishing map called the "Wind Rivers Topographic Map - Northern Half", which costs about $17 on Amazon with shipping. 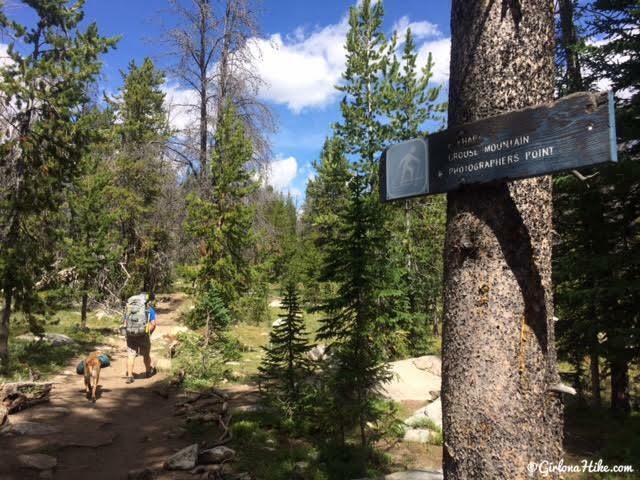 If you are backpacking into the Cirque of the Towers, you'll need the "Wind Rivers Topographic Map - Southern Half ". Here are some of the highlights from our trip. The parking lot can fit about 70 cars. 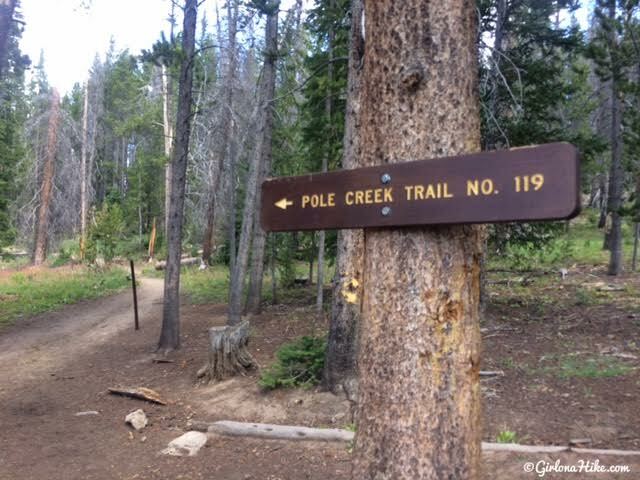 Even though you will park at the Elkhart Park Trailhead, the trail you will follow is the Pole Creek Trail. The first 6 miles looks the same - very gradual terrain and very forrested. You can see anything until you reach Photographers Point, 4.7 miles in. You will pass several trail splits in the first 5 miles, make sure you stay left for all of them. Charlie takes a swim in one of the first big lakes we passed. Around mile 9 you will reach Seneca Lake. This is a very popular camping area, and if you can, venture a litte further to get away from the crowds. Little Seneca Lake & Mt. Lester. Campsite on the first night. 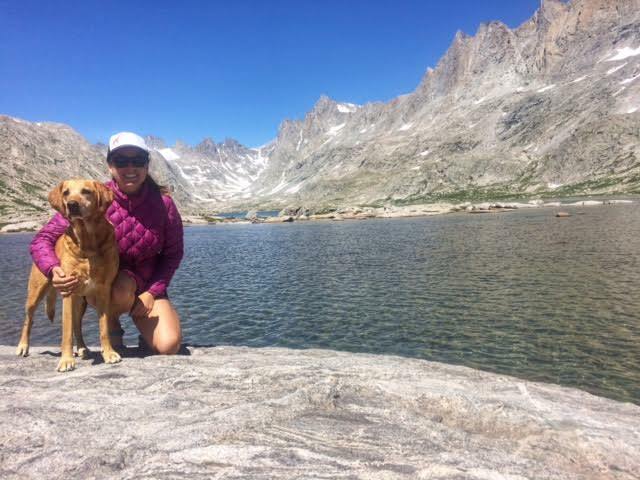 Day 2 we headed for our main destination - Titcomb Basin! This would be the shortest day for us. Only 5 miles to our next campsite. 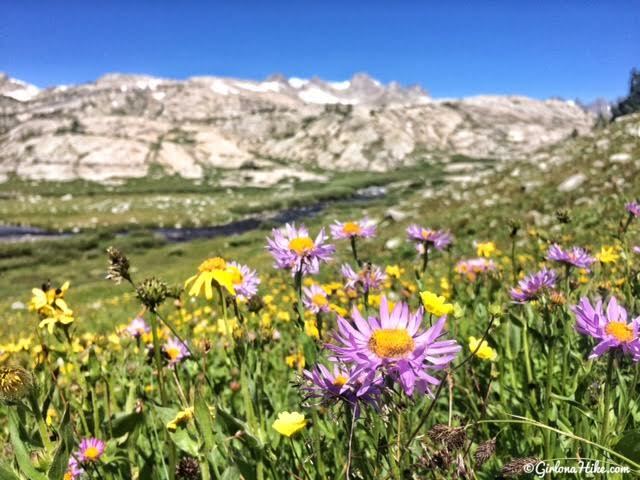 Beautiful wildflowers! These are Purple Asters. Ahh the grand view!!! This area was SO gorgeous! The water was incredibly clear, but also freezing! I was hoping to swim but it was just too cold. You'll notice that I turned off my tracking on the map pretty early on near Titcomb Lakes. This was to protect where we camped, and keep it slightly "secret", though there are plenty of amazing campsites in the basin. Our sweet campsite! At night we could put the rain fly on to keep some of the wind out and keep us warmer. Even in mid-August we woke up to frost. 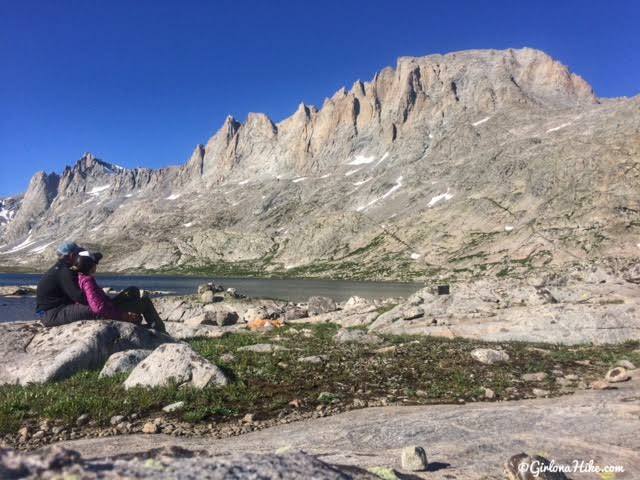 We left Titcomb Basin, and headed for a different area - Indian Basin. I ran into a friend in the parking lot at the TH and he recommended we day-hike to this area, so we did! Indian Basin was amazing and still had a lot of snow! 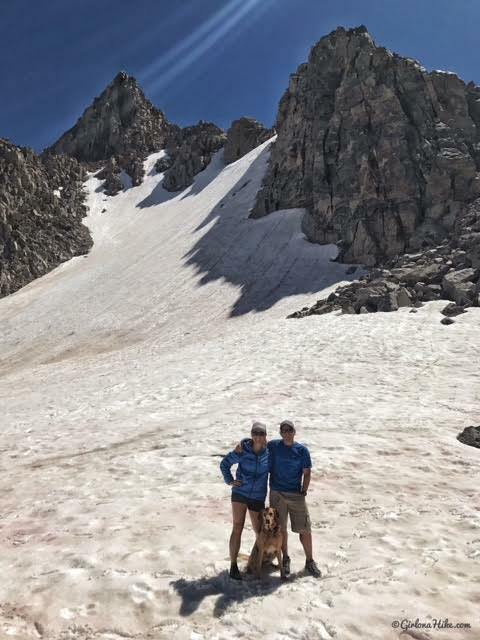 This is not actually a glacier, this is just remaining snow from the snowpack of Winter 2017. Keep in mind that Pink Snow is bacteria, you shouldn't let dogs drink/eat it. Nearing Indian Pass. We were able to stay mostly on trail, by following footprints and cairns. I also used my Gaia GPS to make sure we headed the right way. Family photo at Indian Pass! It was much colder at 12,500 ft! Photo by @iBoyer from our campsite the last night! The peak in the center is Fremont Peak. Charlie had a blast, and hiked and ran so much we finally wore him out! Was this post helpful! Share me! Titcomb was my first multi-night backpacking trip and probably my favorite. I need to get back up there! Going to the winds for the first time in July 2019! Thanks for sharing your experience. One question for you - Did you see many people along the trails? Awesome - it's one of our favorite ranges. YES to lots of people, especially for this area. You won't be alone. We happened to backpack out the day the eclipse was happening and literally passed around 200 people. It was INSANE! But that was very random. Normally you could expect to see at least 30-60 people minimum here. 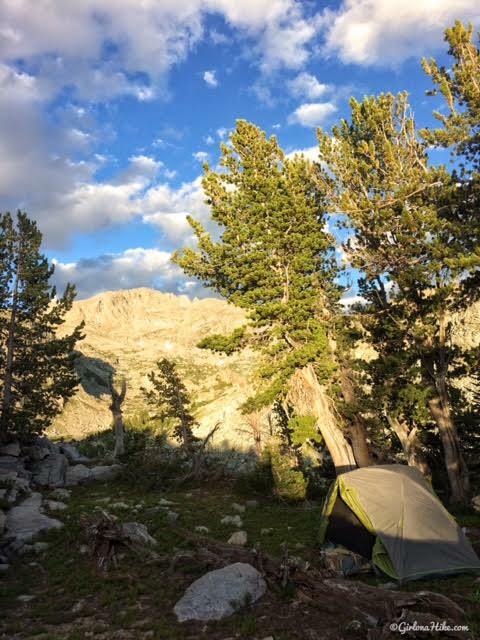 However, you'll still be able to find nice campsites especially if you hike here during the week. We're going back to the Winds this summer again for the 4th time, but different area. Have fun!